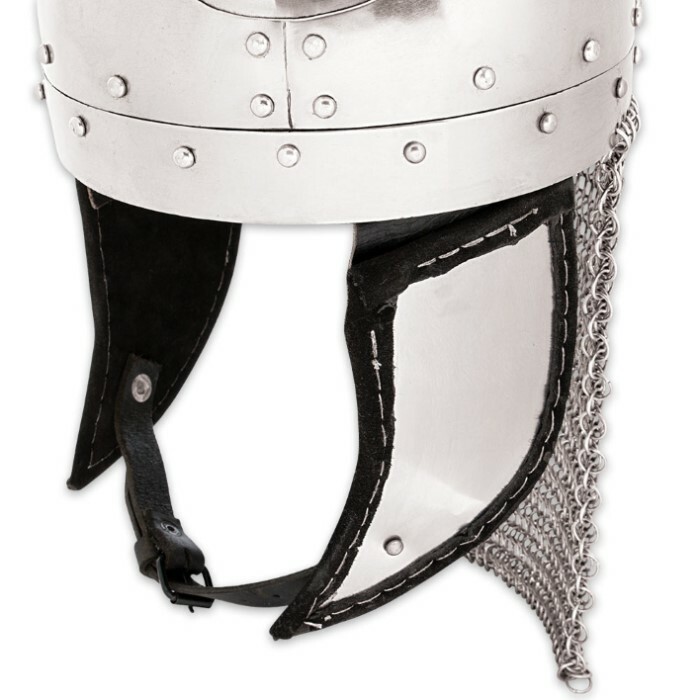 The Kings Helm With Chain Mail Guard is a regal reproduction of a king of old’s helmet. It is conctructed of 18 gauge steel to withstand blows in battle. 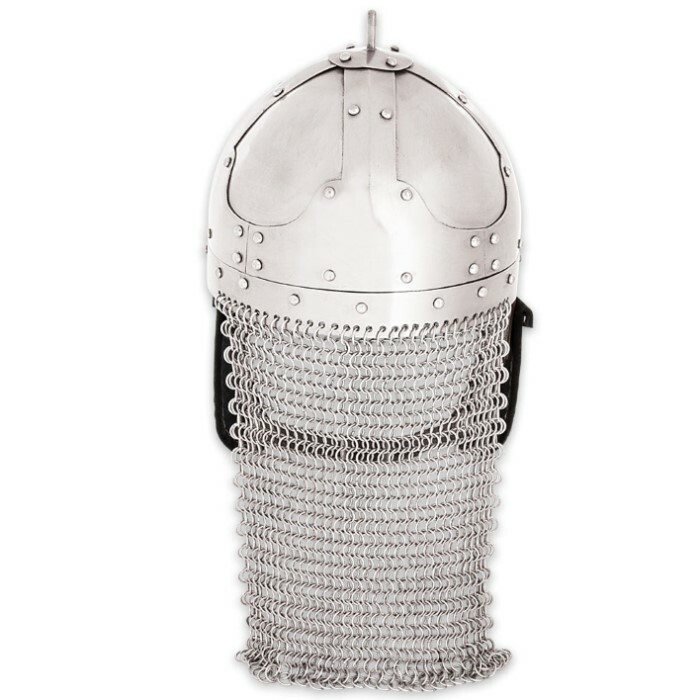 This replica also has the added protection of 16 gauge chainmail to protect the neck. 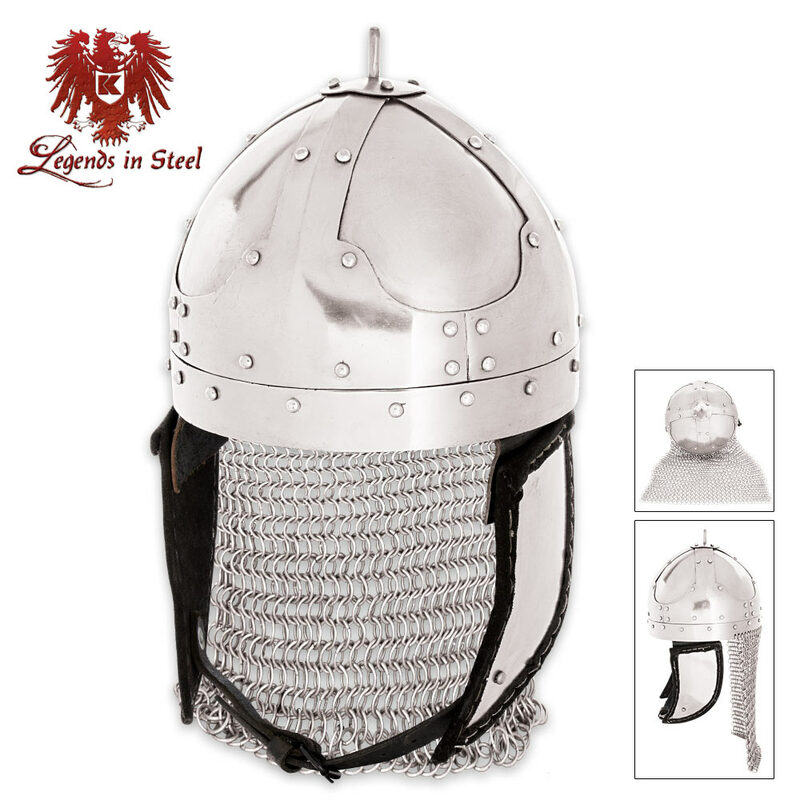 It is lined for a comfortable wear and the chin strap keeps it securely in place. The overall dimensions are 8-1/4” x 8-1/2”.